From a distance, policies can appear benign. Until brought into question, the magnitude of obstacles that are embedded in policies are not illuminated. An area of policy plagued with obstacles involves workers’ compensation (WC), Social Security disability (SSI) and the plight of injured employees. This article is a personal account of a 10-year journey, with the goal of igniting a conversation that will lead to change in WC and SSI policy. In March 2004, a normal day at work turned into a nightmare. The center brace of a ladder came apart causing a fall of approximately 10 feet to a concrete floor. The injuries consisted of a broken neck, damaged rotator cuff and other thoracic issues. Like most individuals, I had never been “injured” to this extent and had no knowledge of how to handle such an ordeal. However, prepared or not, this lesson demonstrated the shortcomings of a convoluted system. I had managed to pull myself up and walk. The WC insisted on physical therapy. Unfortunately, the more physical therapy I received, my pain and symptoms became worse. I remember crying, wanting to go to bed and die because I was in so much pain. The national company that employed me closed all the offices in that state. My pain was debilitating and I contacted an attorney to seek assistance in receiving proper medical care. The attorney and WC agreed to another opinion by a neurosurgeon. After surgery, I learned my neck was broken. If I had continued my physical therapy, paralysis would have occurred because the cord had been severed. Four months after the neck fusion, I returned to surgery to correct the damage that occurred to my right rotator cuff and more therapy for other thoracic issues. The majority of WC and SSI employees come across defensive and accusatory, as if I was attempting to scam the system. WC only pays a portion of the current monthly income, at the time of injury, on a weekly schedule. SSI typically denies a person several times before a hearing. In my case, I was homeless for almost three weeks until I swallowed my pride and asked my brother for help. As grateful as I am for his help, how many individuals have this type of support? I experienced three years of surgeries, physical therapy, family assistance with living expenses, and no coverage for other medical conditions and medicines. For someone who worked her entire life, this was a hard fact to accept. WC is a cruel practice in the state where my injury occurred. Medical transport would take me to an approved WC-scheduled appointment, only to have the WC representative cancel the appointment as I walked into the office. Without the financial means to see the doctor outside of WC, I would sit in the waiting room crying for hours and waiting on transport. When doctors prescribed a medicine, WC would refuse to fill the prescription. In spite of trying to become well enough to return to work, WC did everything possible to create obstacles in the healing process. Each state governs WC, while SSI is under the Social Security Administration. Currently, there is no organization or agency to assist someone through the entire process. Because I was caught in the SSI denial process and released from WC, I decided to return to school. Due to the economy and time off from work, finding a job was impossible. Approximately a year later, I had an SSI hearing. After the hearing, I received a check that included time from the accident until that moment of time and papers to begin the Ticket to Work Program (TTW). The TTW mission is to retrain individuals, as well as provide income and insurance. Depending on the progress, partial to full benefits are received based upon part-time or full-time work. I thought this was the answer to my prayers. What a forward-thinking program! The program is great; but Social Security took it away. Social Security decided I was overpaid and wanted almost $38,000 returned. Based on others I have spoken to, this is a common practice by Social Security. I had not earned a regular income for over seven years. The amount received from WC went to bills and so did the initial check I received from Social Security. I appealed the decision. Attorneys are paid 25 percent of the amount an individual receives from WC and SSI. Most attorneys will not work an overpayment notice because there is no money for them. This forces the claimant to argue the case before a federal judge. Although the minutes and tape from my hearing had been “lost” according to the SSI Office, the overpayment hearing proceeded. My appeal was denied. 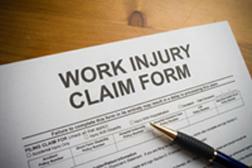 WC does not inform SSI when a person has been injured nor shares the medical records. Why? In a world of electronic medical records, a person should not have to delve through multiple layers of bureaucracy to receive proper assistance. If a person’s case has discrepancies, then clarify. Do not permit the initial process to occur over years instead of weeks or months. Why is the Ticket-to-Work system not deployed more to aid injured employees to return to some level of work? What can change in the laws to render sanctions against WC representatives, and/or their companies, to prohibit them from delaying required medical treatment? How can a ruling be determined when the original tape and minutes are lost? How can the overpayment hearings be restructured to provide representation for the claimants and require all documentation to be accounted for before a hearing? According to the Social Security Overpayment office in Kansas City, the overpayment-processing center in Philadelphia is 45-60 days behind in processing payments. Therefore, they want to have access to individual accounts to pull the payments. These parasitic and incompetent organizations are filled with policies and procedures that prohibit American workers from rapid recoveries and remove constitutional protections against unjust legal procedures. They both require immediate restructuring. I would make sure you go to the doctor first and get a full assessment. Then you should talk with a worker’s comp lawyer so that you can know what you should do. It might be better to not settle, depending on the offer they give. It would just be best if you could talk with a lawyer.